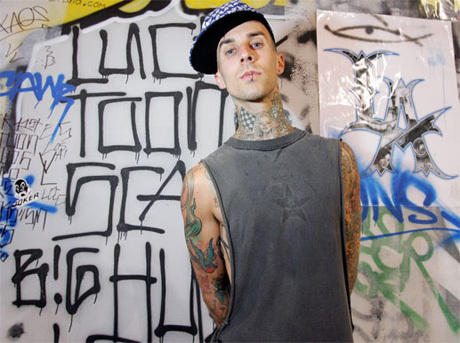 Blink-182 drummer Travis Barker will be releasing his long-rumoured solo album, Give the Drummer Some, this fall. Now, he has released a video for his track "Jump Down," which features Chicago rappers the Cool Kids. Give the Drummer Some reportedly features Eminem, RZA, Drake, Lil Wayne, T.I., Rihanna, Tom Morello, the Transplants, A-Trak and many more. Watch the video for "Jump Down" below.